Ships tomorrow if you order in the next 20 hours 35 minutes. It's no secret that omega-3s, especially DHA, are important for healthy growth and development, but did you know it's also important for your baby? The healthy development of your baby is of the utmost importance, and if you're looking for a high-quality way to support it, Nordic Naturals can help. 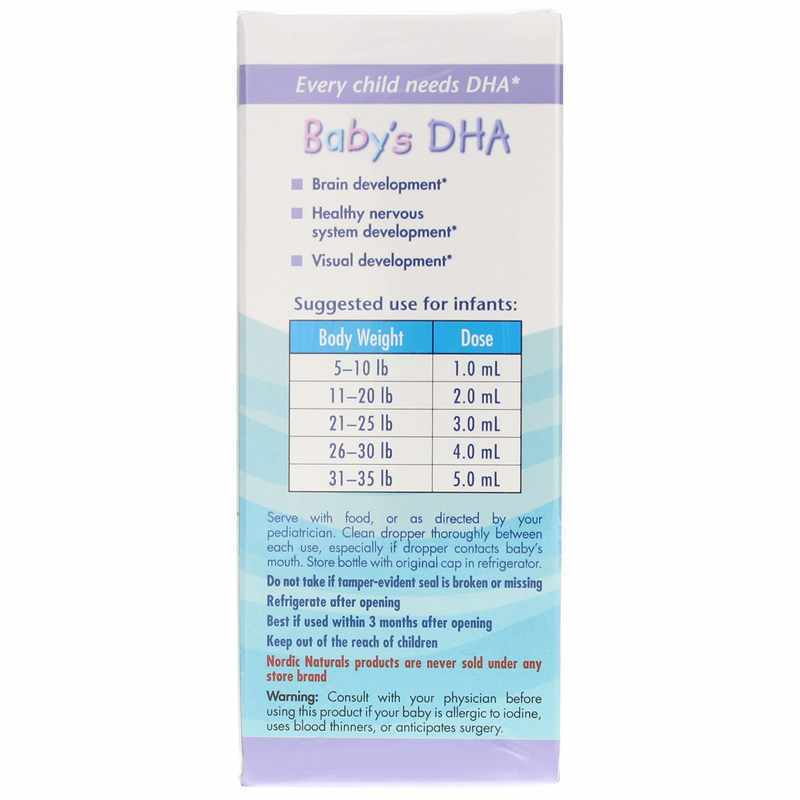 Baby's DHA with Vitamin D3 is formulated with 100% arctic cod liver oil to provide optimal support for the healthy growth and development of babies who weigh 5 to 35 pounds. 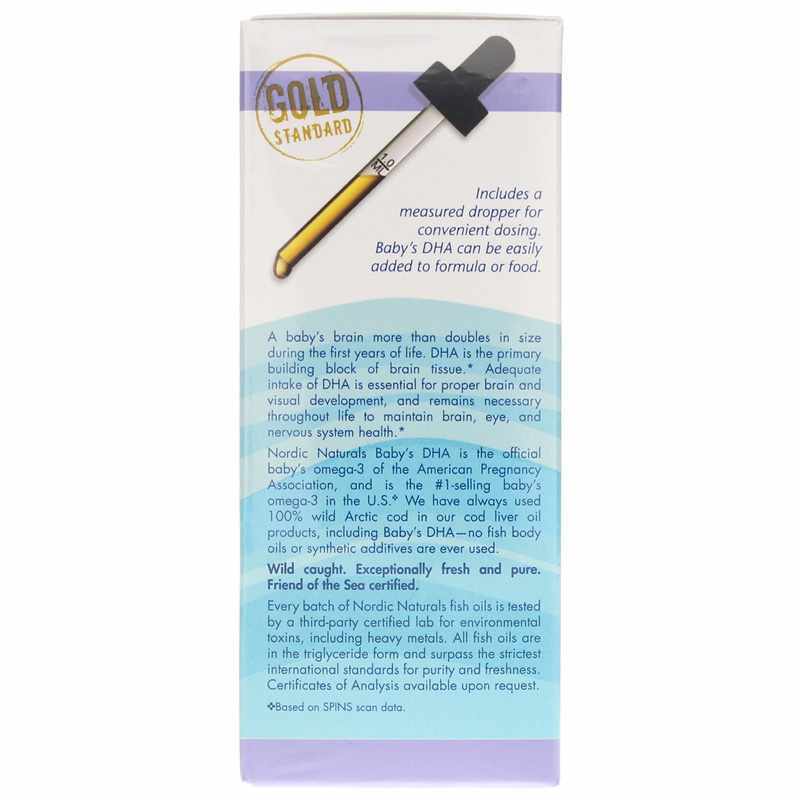 This product is strictly tested to be free of PCBs, heavy metals, and dioxins of detectable levels, and is highly pure. Ensure your baby has the nutrients he or she needs to grow and develop in optimal health. 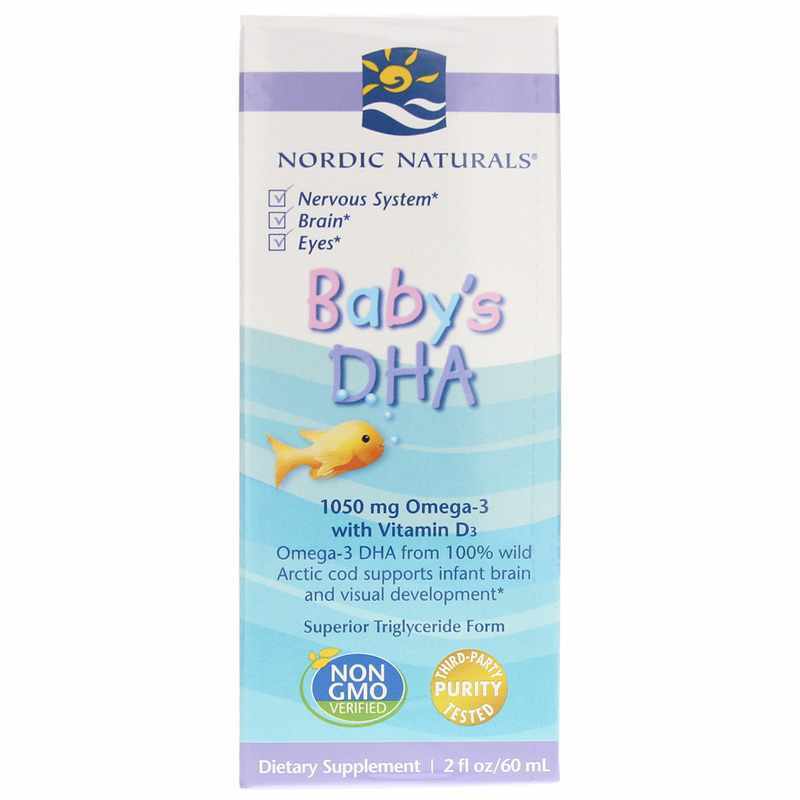 Give your child Baby's DHA with Vitamin D3 from Nordic Naturals today! 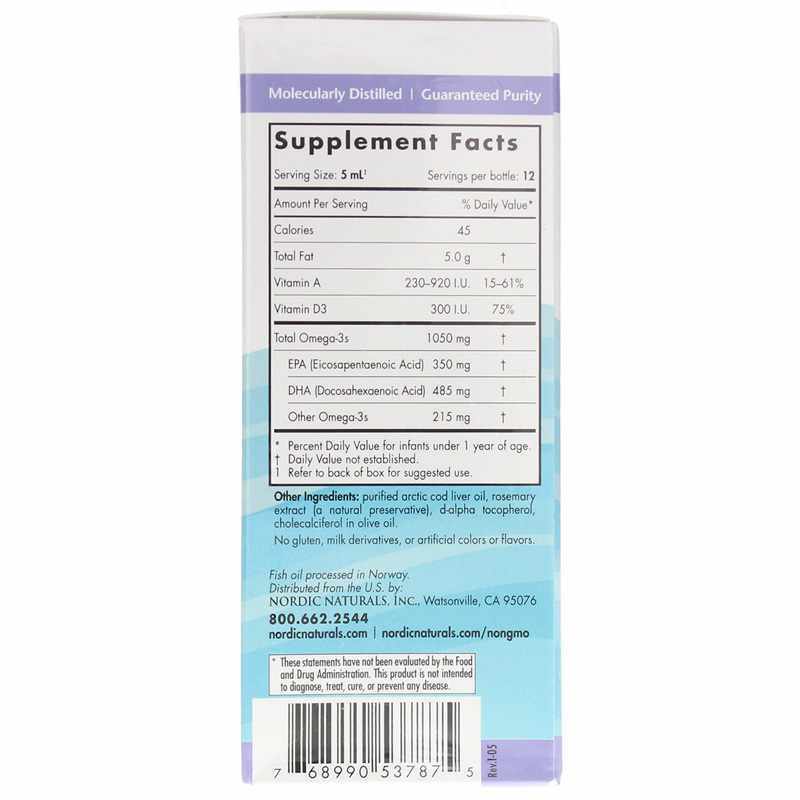 Ingredients: purified arctic cod liver oil, rosemary extract (a natural preservative), d-alpha tocopherol, vitamin d3 (cholecalciferol in olive oil). Keep out of the reach of children. Consult with your physician before using this product if your baby is allergic to iodine, uses blood thinners or anticipates surgery. Baby's DHA with Vitamin D3 is an excellent fish oil supplement for your little one. My 1.5 yr. old loves it! We take it everyday with a meal. Extremely fast delivery ,definitely satisfied. Will be ordering from here from now on. I usually add it with his juice and he doesn't notice any difference with the taste.